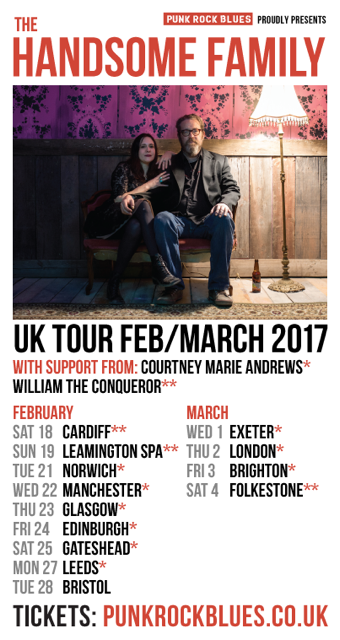 The Handsome Family are currently on tour in the UK. I caught their show at Leamington Spa on February 18th. Having only heard their current album Unseen, I knew there would be a few songs played that I would be unfamiliar with but was excited none the less as I find that sometimes, hearing song for the first time within a live setting is the best way. The venue was seated which was nice and the seats were unallocated, which I did not mind as there was plenty of room when we arrived to secure a decent spot. The audience ranged from all ages but mostly that of middle aged and there were a fair amount of men that bared a striking resemblance to lead singer Brett Sparks that any one of them could have actually been him, ha! The Handsome Family discreetly took to the stage promptly at 9.00pm. With them they had two band members, one on drums, the other on keyboards and guitar. Thanking the audience for being there and saying something about watches and anyone who wears a wrist watch are Brett’s kind of people – The Handsome Family began with song off the new album Gold. This song is one of my favourites of Unseen and was a wonderful way to open the show. Brett’s baritone translated so well live and especially being amplified by the microphone. Rennie’s vocal addition to the song was wonderfully frightening at times which was perhaps intended. I loved it regardless. We particularly enjoyed the guitar playing. It was ornate 60’s/70’s metal with the reverb effect being forceful with much sustain. In between songs, Rennie did most of the talking giving a narrative of each song which made the night even more interesting. Having heard the songs before, this felt like the first time that I was actually hearing the words and understanding the premise of the song which brought the song even more to life and even more wonderfully obscure than I had first thought. The way that Rennie and Brett Sparks talk and interact on stage is hilarious and engaging. They have slight husband and wife bickering, tongue and cheek banter on stage, which was very quick witted. 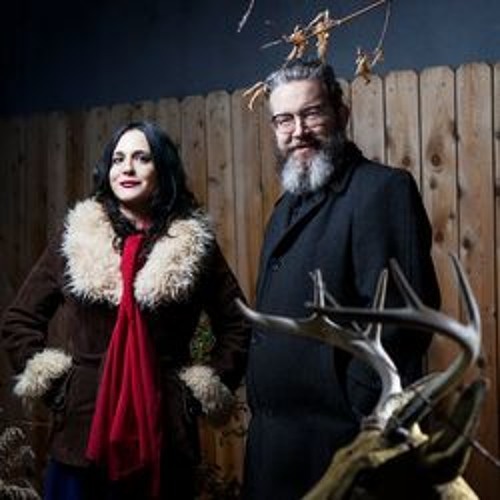 If you are familiar with The Handsome Family then you will be aware that the majority of their music is slightly melancholic and beautifully somber. They put a dark spin on Country and Americana music in a really artistic way. If their music were a photograph, I’d imagine an image of a cross between a Tim Burton movie and The Addams Family. The dark, gothic stylings of their music was even more so live which was intriguing, scary yet infectious. Their songs are almost enigmatic but at the same time make perfect sense. I mentioned before how I felt in way, as if I had heard the songs for the first time. The wonderfully weird lyrics to their songs paint a very detailed picture of an event or situation that actually happened. If you ever read the lyrics to any of their songs out loud, it is as if you are reading word for word about the events of a very eerie, morbid dream and of course, those words with the gloomy styled melodies of the songs make for some of the most tenebrous music you will ever hear in the best kind of way. The Handsome Family of course performed Far From Any Road, which was used as the theme song for the TV show True Detective. Rennie seemed very humbled and thankful about the song being used for the show, which of course is how many people know of them. I myself have never seen the show but sort of want to now. As they left the stage to await the encore, Brett returned saying how silly he thinks encores are and how he feels daft in a way, having to do that every evening. Brett, throughout the evening, came across slightly mundane but in the best kind of way, it gave him instant appeal as he is so likeable. His dry sense of humour and bickering with Rennie and constant talking over each other made for a very amusing evening. I would love to spend an evening chatting to them both, hearing their stories, learning about their lives as they truly are two of the most fascinating people I have ever heard speak. They should write a book, perhaps they have? If so, someone tell me immediately so I can buy it. The band were also great, even with the slight mishap with the red keyboard leaving them almost no choice but to leave out a song but it managed to get fixed in time. Rennie introduced the band members and explained how the guitarist/keyboard player had never left Albuquerque, New Mexico before and that he was suddenly placed on a giant metal tube which when they arrived, the door opened to a load of people who talked funny. I should also mention that next to the merchandise table was another table where two lovely ladies were sewing bags on the spot and handing them out for free. The ladies are part of the company Morsbags. The Morsbags ladies are volunteers who make bags out of donated fabric and give them away for free as an alternative to plastic carrier bags. One of the ladies or perhaps both, are huge The Handsome Family fans and made and handed out bags that night inspired by The Handsome Family’s current album Unseen. These bags, all made from different patterns, each had a Frog staring at the moon on the centre face of the bag. Fans attending the show were invited to select any bag they wished which was incredibly generous and a wonderful and unexpected addition to such a wondrous evening. 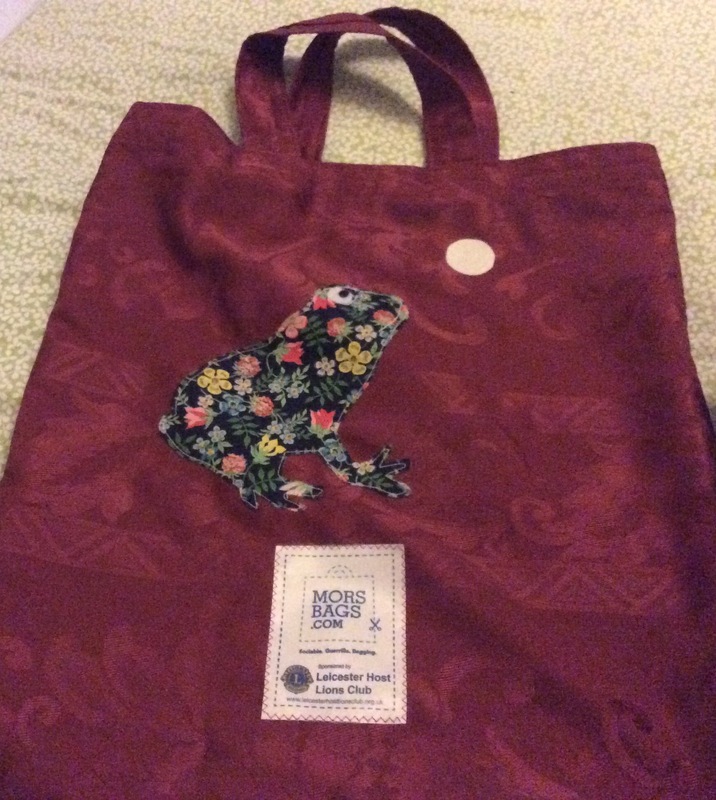 Rennie took the time to give a shout out to the ladies and the company, beaming with delight about the addition of the Frog on the bags, stating- “Anyone who knows me knows that when it comes to frogs, I am fan. If I could have the operation to be a frog, I would do it in an instant. Too bad science hasn’t caught up with my dream”. Also explaining how Morsbags save the environment, Rennie goes on to say “I would like to think now that there is one more Octopus out there happily flapping his arms around”. This then led to the song Octopus from the album Wilderness. I was saddened to see the night draw to a close. I left feeling slightly Bewitched, bewildered and besotted in the best kind of way. Not many shows have that sort of impact on me where I am left almost lost for words and eager to see an artist again almost immediately. I have never laughed so much during a concert. 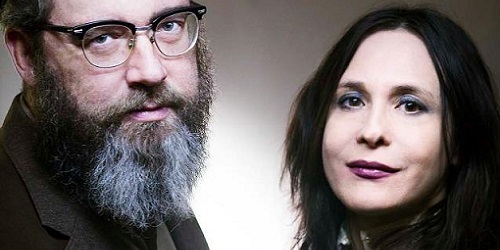 It was one of the most crazy, eccentric, comedic and musically wonderful evenings I have ever attended and I cannot wait to see The Handsome Family again. You see, with The Handsome Family you don’t just get a show, you get an experience. I am in awe of this band as well as slightly fearful but all that together, makes them genius and phenomenal artists that are daring to do something that many dare not do. I love them! 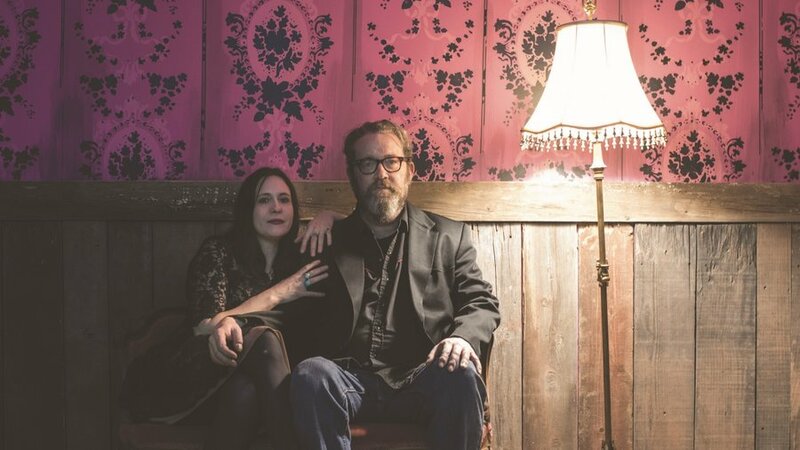 There are still a few more dates left to see The Handsome Family on their UK tour, including The Union Chapel in London with the wonderful Courtney Marie Andrews who is on the same label Loose Music. Label mates Joana Serrat and William The Conquerer were support acts on other dates. We had the pleasure of William The Conquerer who I reccomend you look out for. Seperate review on them to follow.